Today ASB published the next volume of Future Forwards. The online edition is available at this link. Future Forwards is a collection of thoughts, hypotheses, discussions, and reflections on practices, research and ideas that are relevant to emerging new paradigms of teaching and learning. Previous volumes of Future Forwards have focused on how ASB's R&D has built a culture of active innovation at the school. However we are aware that to effect transformation across education worldwide, we need more schools to "move past being distinct and shining stars of innovation, to become connected constellations of innovation." 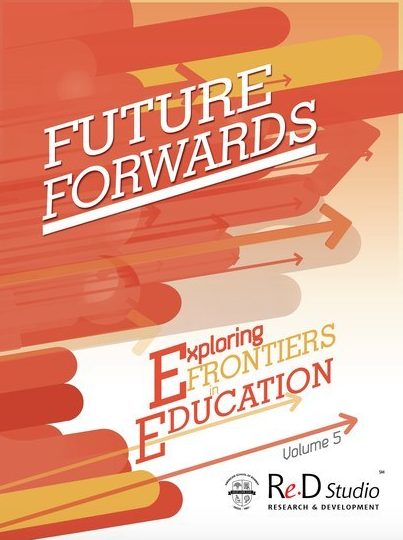 Volume 5 of Future Forwards therefore contains explorations of the frontiers of education from 3 other schools around the world. These chapters are about paradigm shifts - different approaches that radically challenge established conventions. Here you will find chapters on professional development, design thinking, multi-age classrooms and social entrepreneurship. These chapters are about how current research is changing or impacting existing practices or established norms. In this section you can read about ASB's partnership with a local school, research into digital wellbeing and social media use among third culture kids, the future of higher education, gender equity and meeting the diverse needs of language learners. These chapters describe the application of an instructional practice in a completely novel way or the successful mash-up of different practices. 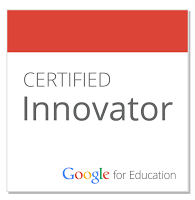 In this section you will read blended learning, student leadership in technology, curiosity projects in art, Maker, using sensors in the classroom and creative coding.